It’s now become &apos;the routine&apos;: up by 0630 and depart by 0730. The only difference today was that we arrived at our destination by 1100 - &apos;twas amazing. Some of the scenery today was spectacular - it really was. A lot of today was spent walking through pine forests so it was nice and shady. The paths were smooth and wide too so it was easy going. You can tell that now we’re getting higher because the landscape is getting arid, less green, more rocky. The plants are changing too, they are less luscious, more hardy-looking. When the Sun’s behind a hill it’s cold and if you’re stopped you may shiver. I’m still only in a T-shirt and trousers so I’m not worried - I’ve still got my thermals and Rab to go yet. Pisang is split into two: Upper and Lower. 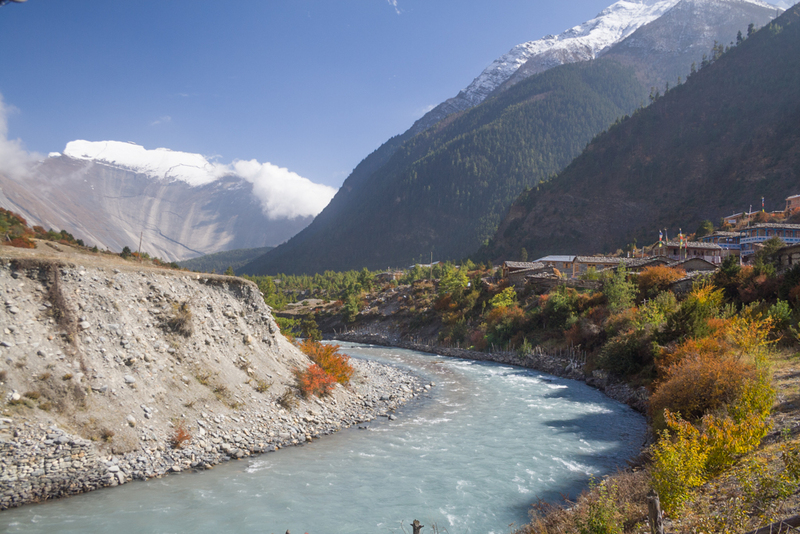 Lower Pisang is by the river in the valley bottom and is more substantial. It’s also where the trek goes through and it’s where we’re sleeping. Upper Pisang is about 100m up the northern valley wall and is heaven. 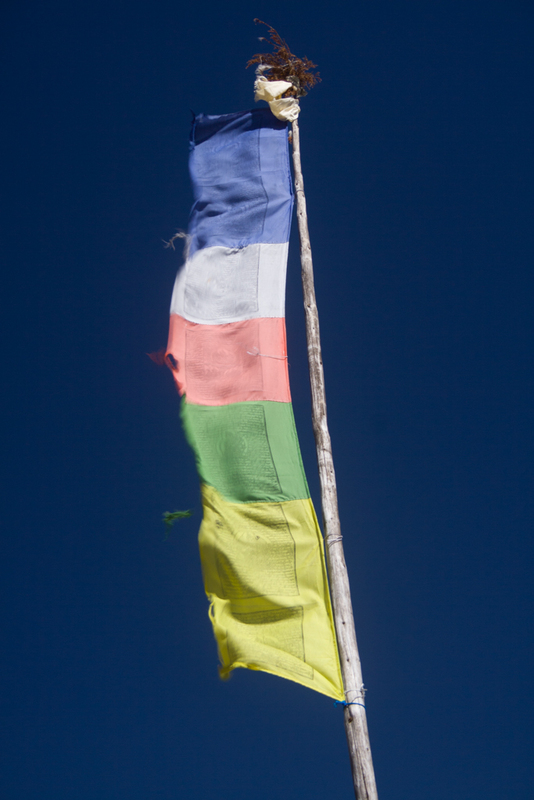 It’s small, the houses are primitive, it’s quiet, the stone work blends into the hillside and every building has it’s own set of prayer flags. If it wasn’t for the odd telegraph pole then it’d be the classic cliche filled postcard. It is beautiful. I just slowly sauntered around, climbing past houses to the small monastery at the top. From this poetic vantage point one could see the full length of the valley in both directions and also the vista that is the ridge connecting Annapurna II with her companions. The Sun was belting down so my photos of Annapurna II may not be great - but the rest of the valley should be OK. The Marsyandi River is getting smaller and smaller now - only a few metres wide. I’m still enjoying the trek, the views are superb, the walking is tiring but not exhausting and daal bhaat (a local rice dish) is good. My shoulders and hips ache from the bag but it’s not that bad and doesn’t distract me. At about 1300 the first clouds usually appear and by 1500 the peaks are usually obscured. It means that the time frame for postcard perfect photography is narrow - at least I see it with my eyes though. For the record: sleeping here will be like sleeping atop Vignemale.